One Owner, Clean CARFAX, Local Trade, 2.8L Durmax Diesel, ABS brakes, Alloy wheels, Compass, Electronic Stability Control, Heated door mirrors, Heated Driver & Front Passenger Seats, Heated front seats, Illuminated entry, Low tire pressure warning, Remote keyless entry, Traction control. One Owner, Leather, Like new in excellent condition! 4X4! 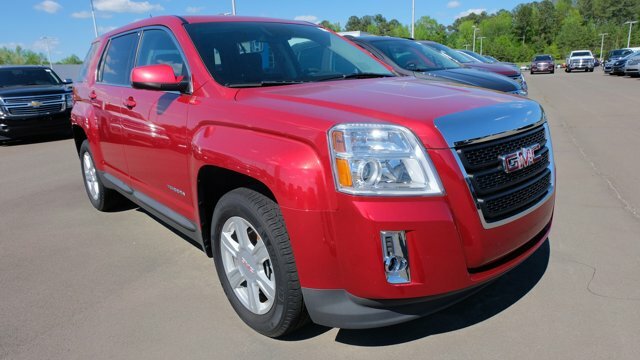 4X4 DENALI...6.6L DIESEL...LEATHER...NAVIGATION...MOONROOF...20" WHEELS...HEAT/COOL SEATS...FULLY LOADED! 4X4, Z71 off road package, 20 inch polished wheels, Heated and cooled leather seats, Navigation, Rear view camera, Bose audio, Remote start!! Clean Carfax, One Owner, New Tires, Heated Seats, Backup Camera, Navigation, Leather Seats. One Owner, Clean Carfax, Heated & Cooled Seats, Backup Camera, Leather Seats, Navigation, 110-Volt AC Power Outlet, 150 Amp Alternator, 1st & 2nd Row Color-Keyed Carpeted Floor Mats, 2-Speed Active Electronic AutoTrac Transfer Case, 6" Rectangular Chromed Tubular Assist Steps, 8" Multi-Color Customizable Driver Display, Auto-Dimming Inside Rear-View Mirror, Body Color Lower Front Bumper, Body Color Rear Bumper w/Cornersteps, Bose Speaker System, Chrome Bodyside Moldings, Chrome Door Handles, Chrome Mirror Caps, Color-Keyed Carpeting, Deep-Tinted Glass, Driver & Front Passenger Illuminated Vanity Mirrors, Dual-Zone Automatic Climate Control, Electric Rear-Window Defogger, Enhanced Driver Alert Package, EZ Lift & Lower Tailgate, Forward Collision Alert, Front Frame-Mounted Black Recovery Hooks, Heated & Ventilated Front Bucket Seats, IntelliBeam Automatic High Beam On/Off Headlight, Lane Keep Assist, Leather Wrapped Heated Steering Wheel, Low Speed Forward Automatic Braking, Manual Tilt/Telescoping Steering Column, OnStar 3 Month Guidance Plan, OnStar w/4G LTE, Polished Exhaust Tip, Power Adjustable Pedals, Power Folding & Adjustable Heated Outside Mirrors, Power Sliding Rear Window w/Defogger, Power Windows w/Driver Express Up & Down, Preferred Equipment Group 5SA, Rear 60/40 Folding Bench Seat (Folds Up), Rear Vision Camera, Rear Wheelhouse Liners, Remote Keyless Entry, Remote Locking Tailgate, Remote Vehicle Starter System, Single Slot CD/MP3 Player, Steering Wheel Audio Controls, Theft Deterrent System (Unauthorized Entry), Thin Profile LED Fog Lamps, Trailering Equipment, Ultrasonic Front & Rear Park Assist, Universal Home Remote. Clean Carfax, Local Trade, Leather Package, Navigation System. One Owner, 6" Lift with custom wheels and Toyo tires, Power Running boards, Heated and Cooled Leather seats with sunroof and navigation! 4x4, Navigation, Leather, 20 inch wheels, Carfax one owner LOCAL trade, Rear view camera, 5.3 Liter EcoTec V-8! !